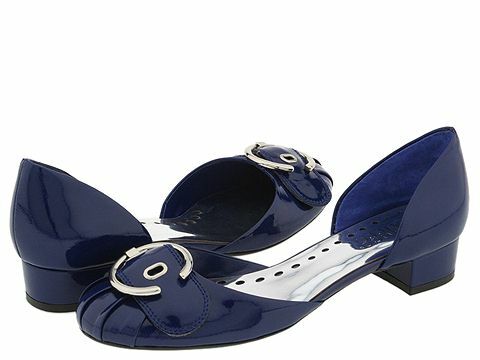 Fashionable d'Orsay with pleated vamp detail and decorative buckle. Patent leather upper. Lightly padded footbed. Low chunky heel. Flexible rubber sole.